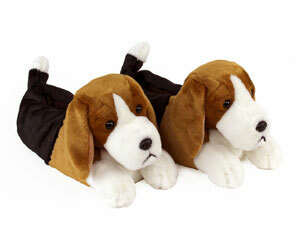 These droopy-eyed Hound Dog Slippers are almost too cute for words, but we'll try to describe them anyway. 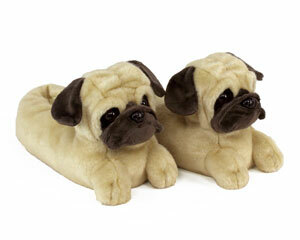 A full coverage slipper, these pups provide optimal comfort and warmth. 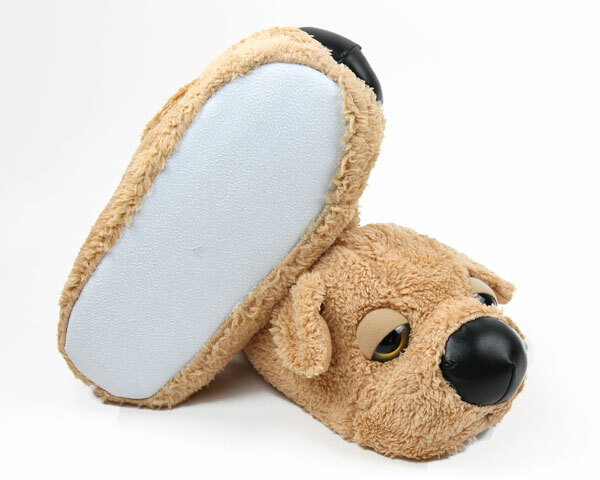 The thick plush footbed make padding around your house feel like your paws are pillows! 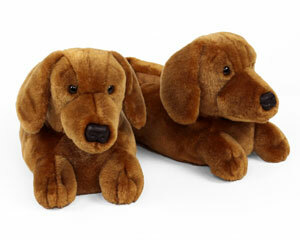 A big puppy nose and floppy ears finish the darling detailing. 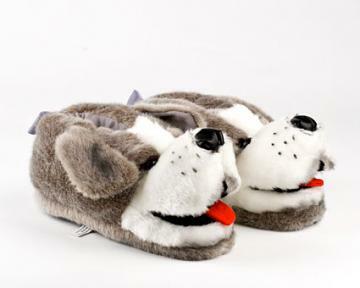 Adopt a pair of these Hound Dog Slippers today! My favorite doggies! I live in them, literally. Super happy with this purchase! Maybe the size was small, so there were holes in the front after two days of wearing them, but I fixed them with a thread and a needle and it is all fine now. 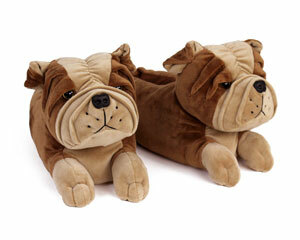 Advantages: Warm, soft, comfy, funny-looking, make your mood better anytime. Disadvantages: My sister wants these too. Disadvantages: i really can't think of any. 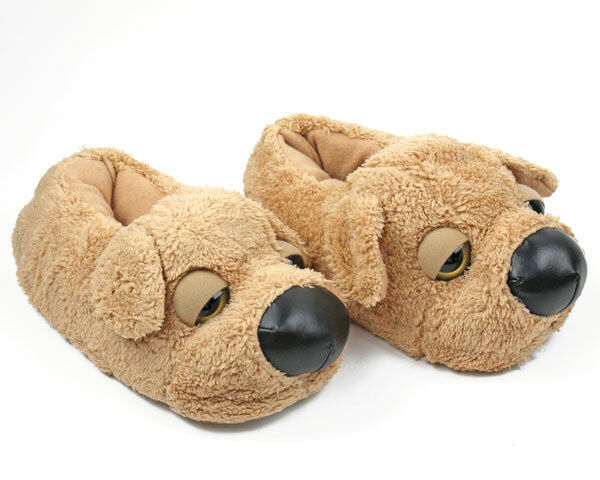 The eyelid and eyeball on one of the slippers was damaged. Unfortunately, it was noticed after it was given as a gift and taken out of the plastic bag. The recipient didn't want me to go through the hassle of returning them. 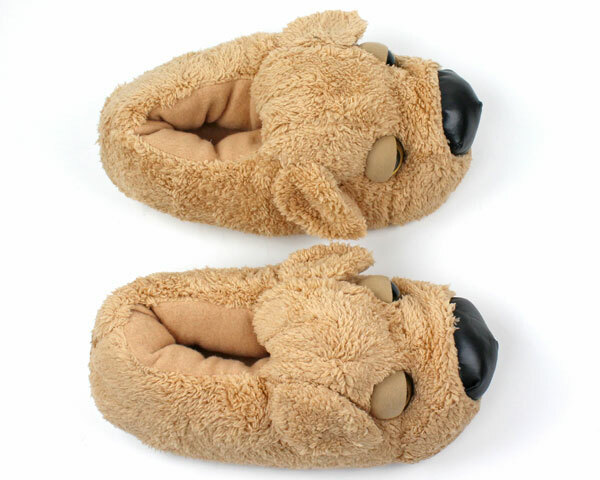 Response from BunnySlippers: Thank you for your comment. 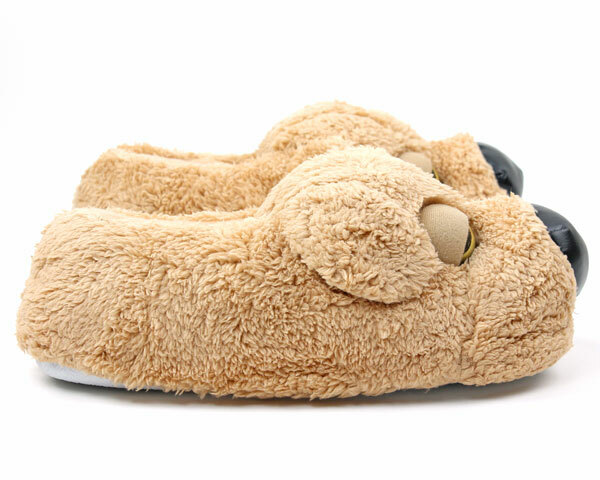 I apologize that you received the slippers damaged. We did immediately send a replacement pair without requesting the damaged pair back, this makes it easy for you our customer.